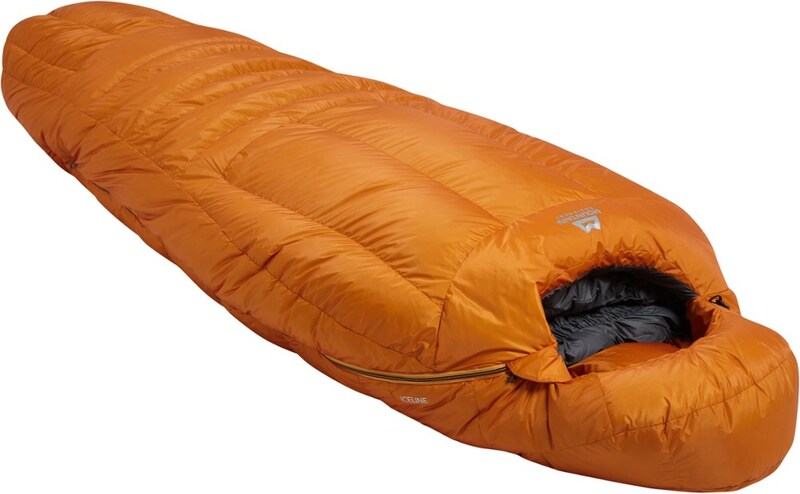 Exploring high altitudes isn't always a comfortable pursuit, but after long days of ice-climbing, ski-touring, or general mountaineering, you can rest assured that at least one part of your day will be cozy with the Rab -5 Degree Down Neutrino 800 Sleeping Bag. 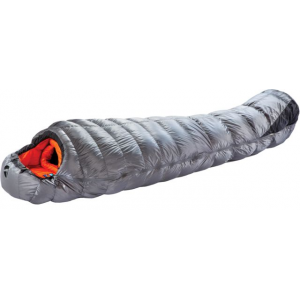 It's filled to the brim with toasty 800-fill down, giving you warmth for high altitudes and cold temperatures without adding a ton of weight. 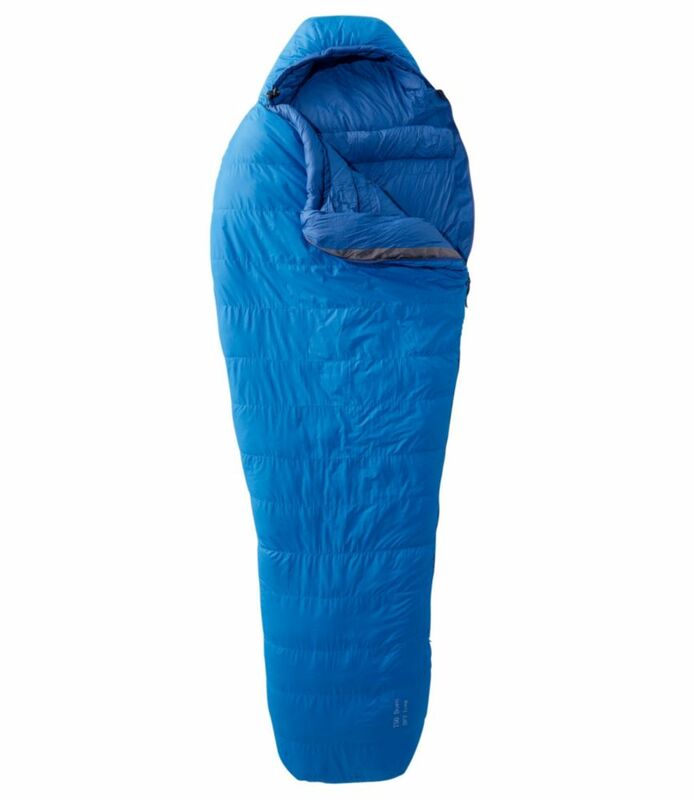 Plus, it's got a special hydrophobic treatment that allows your down to maintain its loft in wet conditions. 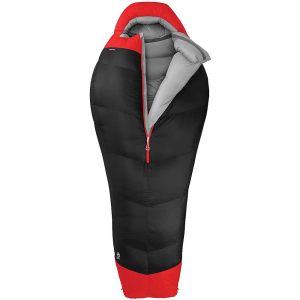 That means that not only will your bag keep insulating if it comes into contact with some snow or ice, but it will also retain its warmth when you're camping in wet-cold environments. 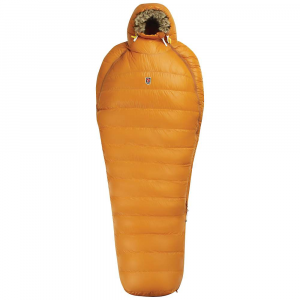 A weather-resistant Pertex Quantum shell and a dry-bag stuff sack offer further protection from the elements while the bag sits in your pack, and a special trapezoidal baffle construction ensures that you won't suffer from cold spots due to down migration. 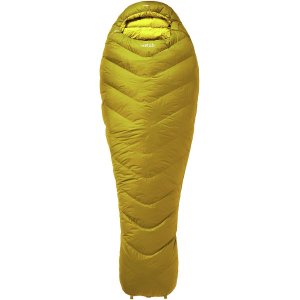 Rab Backpacking Sleeping Bags Neutrino 800 Sleeping Bag ( 800 Down)-Regular-Left QSI17LZ.